The islands and coastline of Connemara are alive with the constant changing colours, clouds, sunlight or rain, sometimes disappearing and reappearing from blankets of sea fog and squalls of rain. The winter storms then purging the landscapes before the arrival of Spring. 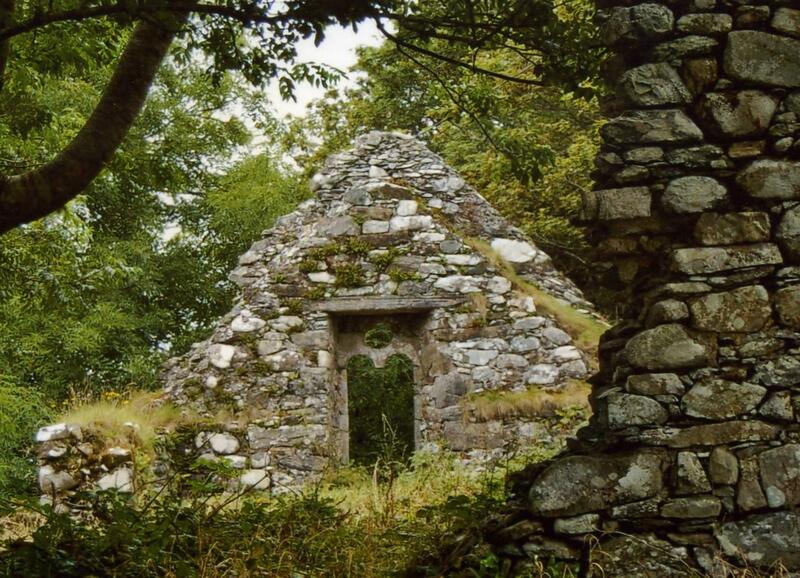 It was with such a kaleidoscope of seasons that the monks and eremitics in their often isolated and precarious coastal sites of Connemara lived their lives on the edge of what was a maritime highway reaching from North Africa to Scandinavia. It was these who introduced the spiritual tradition into Gaelic society as founded by the North African desert ascetics/fathers of the 3rd and 4th centuries. When sailing that longish stretch from Loop Head at the mouth of the Shannon estuary to the Aran Islands, and as there is no suitable landfall in between, the waypoint to aim for is the GregorySound which lies between Inishmore and Inishmaan. Having once experienced a particularly stormy passage on this route, and losing my tender in the process, reaching the GregorySound was particularly welcome. Gregory is apparently the original name of St Ceannanach, one of the early Saints to have settled on the Connemara Coast in the times of this ancient maritime highway. Further north and about three miles east of the village of Cleggan, on the edge of Ballinakill Lough, can be found the ruins of a poorly preserved ancient medieval church within the traces of a much older enclosure, which is dedicated to St Ceannanach, one of the 25 early Christian sites to be found on the Connemara coastline and adjacent islands. The remaining west gable of this little church has a beautiful twin light round-headed window with a small circular ope above, and there is also an ancient cross-slab, now reused as a gravemarker, standing about 12m to the north east. There is a tradition still preserved in the parish at Ballinakill, that St Ceannanach was one of the earliest preachers of Christianity in these western parts; and that he was taken, by order of a pagan tyrant who ruled here, and beheaded near the eastern extremity of the present village of Cleggan. A heap of stones is still pointed out, one supposedly stained with the blood of his beheading, as a monument said to have been erected on the spot where this poor man suffered. Whatever about his unsavoury end he is still known in the parish by the name of ‘Gregory’ which is said to have been his original name. But there is also another church dedicated to him in the middle of the island of Inishmore which is considered to be one of the most ancient and perfect of all the ecclesiastical remains in these islands. So, it is from him that it’s presumed Gregory’s Sound, that welcome passage between these two islands, has been called.